captain's log» Blog Archive » Drawin ‘dem coworkers. 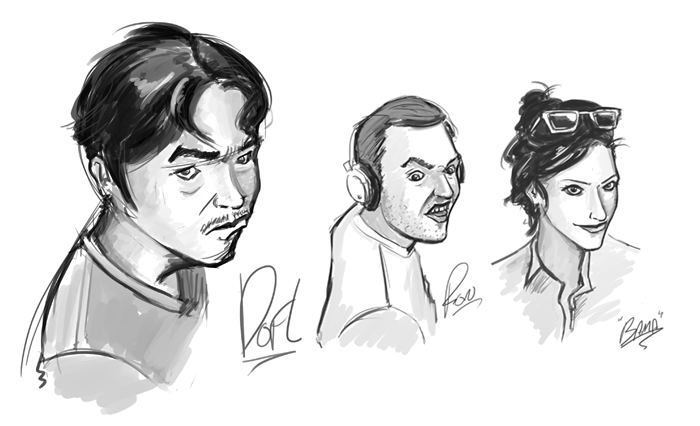 For some project that fell through I was tasked with doin some drawings of my coworkers. It was pretty fun. I must say that Dofl turned out the best. This entry was posted on Wednesday, November 9th, 2011 at 12:25 am and is filed under <3 wacom. You can follow any responses to this entry through the RSS 2.0 feed. You can leave a response, or trackback from your own site.